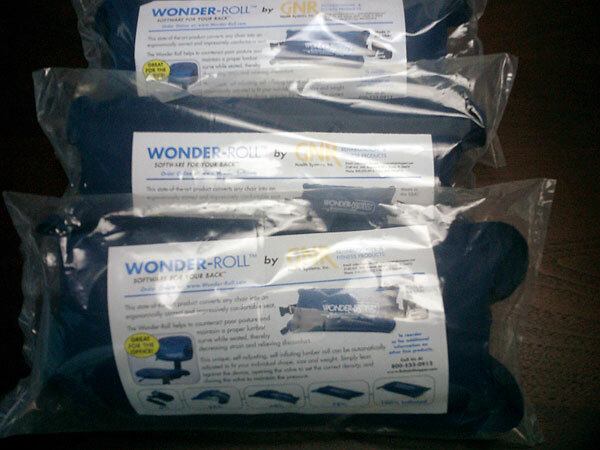 Wonder Rolls really are kind of wonderful. These small, light, self-inflating, infinitely adjustable back pillows are just the thing to make a bad chair or movie theater seat comfortable and supportive. Keep a few of these around at all times to help you deal with bad seating anywhere you work, eat or travel.